I've been revisiting some Hanson lately and I've got to say I'm mightily impressed with what I've heard so far. Archaic Torso of Apollo mentioned that Hanson was like an American Kurt Atterberg. That is an apt observation and one I'm inclined to agree with. Symphony No. 4, "Requiem" I found to be quite gripping. I also liked Symphony No. 3 a lot. I think that the Atterberg comparison is apt as well. I like both of those symphonies too John. I've been listening to Hanson's original 1940s recording of his Symphony 1 'Nordic'. I know that you are not too keen on historical recording but like Koussevitsky's recording of Symphony 3 it has a gripping intensity unlike any of the other versions I have heard including Hanson's later 'Mercury' recording and the more recent one under Gerard Schwarz, fine as they are. I'm sure the Koussevitsky Hanson 3rd is intense. As much as I love Schwarz's performances, I'd love to have heard someone like Bernstein conduct Hanson's symphonies as I believe he would have given them a fiery approach that they need. Imagine Bernstein in the 3rd or 4th. Wow. That's the problem, they really haven't been given a good performance. There is no alternate to Borin' Schwarz in terms of modern recordings. I am sorry I just don't like the Schwarz Seattle recordings. They are nice enough but in no way very memorable, plus the sound volume is very low (try the one with the Serenade for Flute Harp Strings). I always wish an Eastern European ensemble like the Nat. SO of the Ukraine would have taken it, at least it will sound a bit more urgeant. 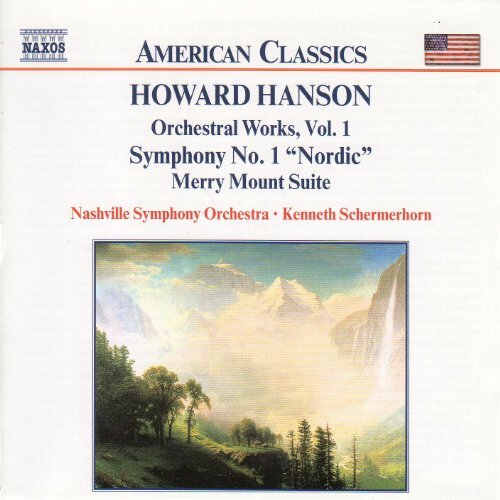 Having been gripped by Hanson's own first recording of Symphony 1 'Nordic' I have now turned my attention to Symphony 2 'Romantic' recorded in 1939 (Biddulph CD) and feel rather guilty about sniffly turning my nose up at the 'Hollywoodishness' of Symphony 2. I was gripped and moved throughout the performance despite the 'snap, crackle and pop' of the recording surface. They remind me a bit in their intensity of those very early Kajanus recordings of the Sibelius symphonies which have a similar urgency and visionary quality about them. Somehow optimistically dubbed Volume 1 (there are no other Volumes). The playing is so much more gripping and everything stands out more than either the Mercury recording with a rather scrawny sounding Rochester Orchestra or the rather aloof Seattle SO. What I consider good and you consider good are two different things. I like the Schwarz recordings and I have no problems with them whatsoever. They do the job for me. Totally agree with you. It is my favourite modern recording of the 'Nordic' and the CD also contains another very fine shorter work 'Pan and the Priest'. I'm sorry too that Maestro Schemerhorn didn't record any more Hanson. Maybe Naxos found it more economically viable to reissue the pre-recorded Schwarz series than record new versions - a pity if true. I hadn't noticed before that it says 'Orchestral Works, Vol.1'. What made it even worse is Schermerhorn passed away, so there wasn't any possible way for him to finish the cycle. I've been revisiting some Hanson lately and I've got to say I'm mightily impressed with what I've heard so far. Archaic Torso of Apollo mentioned that Hanson was like an American Kurt Atterberg. Ugh. If there is ever a kiss of death is is something like " This composer is the [fill in the nationality] [fill in another composer]". Remember they call Joseph Martin Kraus(?) "the Swedish Mozart"? Somehow that really stuck and everytime they play his music they say: here is a piece by the Swedish Mozart. Until the listener figures out Kraus ain't no Mozart. Oh, that's very sad news indeed but thanks for letting us know John. I shall play that CD in tribute later. Yeah, as you can see he died years ago. I knew of his death whenever I started collecting a few of his recordings. He's most notably remembered IMHO for his championship of Villa-Lobos. He also made an Ives recording of Symphony No. 2 and Robert Browning Overture that are worth your consideration. I remember being very impressed with this once upon a time.....so I am playing it now. Thank you for reminding me. Glorious tunes. All those fans of Atterberg really ought to immerse themselves in Hanson as well. That is a very good disc - The Merry Mount Suite is well done as well, equal to, but different from Hanson's own with Eastman-Rochester on Mercury. Merry Mount is excellent - both full opera, and Suite...the Love-Duet wipes me out every time. Sym #3 is my favorite, but #1 Nordic is very fine also - powerful stuff...Hanson knew how to draw a big sonority from the orchestra. There is a nice 11cd set with the deceased maestro and his Nashville forces if anyone is interested. 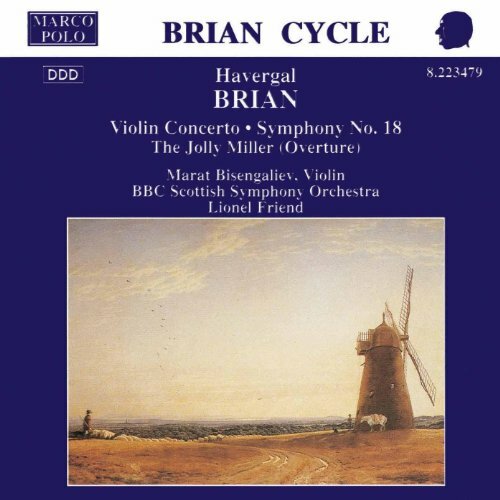 Yes, I have that Brian CD too. The Schemerhorn set looks great but too expensive for me. However, I will look out for some of his other recordings. I was reading through this thread and came across comments which stated that while Schwarz's Hanson cycle is beautifully played and recorded, it lacks forward motion and a sense of architecture that is so vital to Hanson's music - I totally agree. Schwarz captures Hanson's lush, Romantic side very well - which is great - but rather misses out on the elemental, Sibelian power of his music. I compared the Schwarz and Kunzel (Telarc) recordings of the 2nd Symphony and the differences are readily apparent. Kunzel gives a sweeping, dramatic performance that never loses sight of the work's romantic essence, while Schwarz seems rather lethargic and over-indulgent by comparison. P.S. We even more desperately need a complete cycle of Diamond's symphonies! It's a real pity that Schwarz and Naxos seem to have abandoned their Diamond series. A new Piston cycle would sure be nice, too! Agree with everything you say here Kyle. Koussevitsky's Sibelian recording of Hanson's Third Symphony is IMHO the greatest performance of any Hanson symphony. I'm generally not a huge fan of historical recordings (due to sound quality), but I'd love to hear this. Unfortunately, it's OOP on Amazon and unavailable on YouTube and Spotify Do you know Hanson's own recording of his 3rd on Mercury? I haven't heard it yet myself. As much as I like Schwarz’s Hanson (and I do like it a good deal), Hanson’s own conducted performances are where it’s at and they have that wonderful Mercury Living Presence sound, which I have always been a fan of.